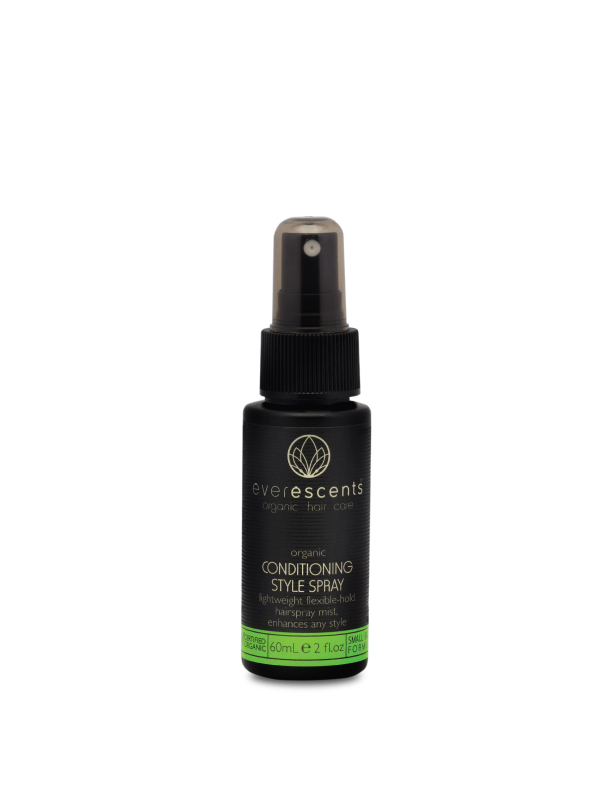 This Everescents Conditioning Style Spray is a revolutionary new formula and is the first of its kind as it conditions the hair whilst holding the style. 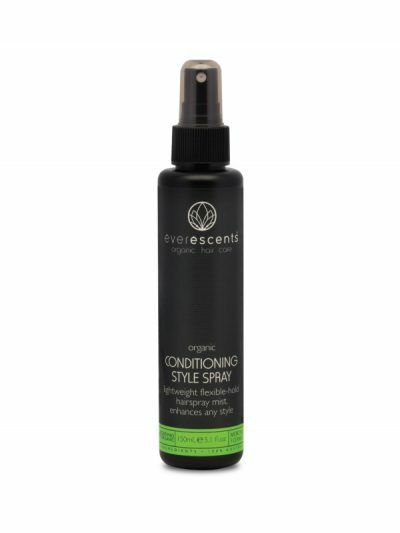 A non GM conditioning ingredient derived from potato starch is responsible for the unique ability of this new hairspray. 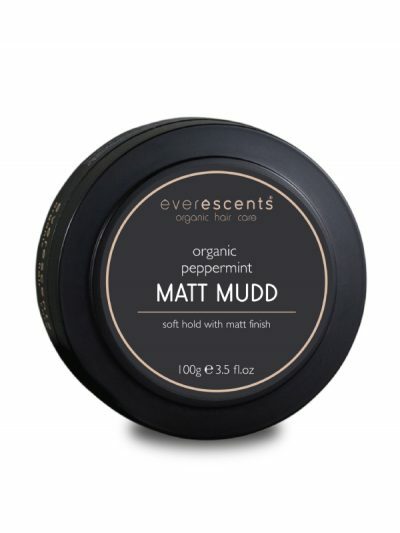 Certified organic active ingredients include; rose water, mandarin, rosemary, sage, linden, nettle, birch and horsetail. 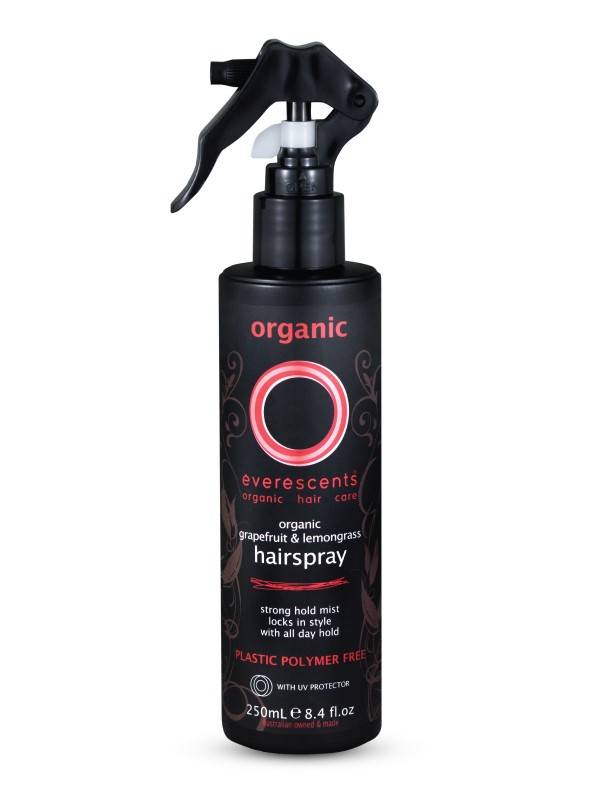 Certified Organic Ethanol* (plant derived hold factor/stabiliser), Rosa Damascena (Rose) Flower Water* (conditioning & softening agent), Glycerin*, PCA Glyceryl Oleate** (EcoCert approved emollient & conditioning agent derived from non-GMO renewable vegetable sources), Rosmarinus Officinalis (Rosemary) Leaf Extract*, Sage Officinalis (Sage) Leaf Extract*, Tilia Cordata (Linden) Flower Extract*, Urtica Dioica (Nettle) Extract*, Betula Alba (Birch) Extract*, Equisetum Arvense (Horsetail) Leaf Extract*, Achillea Millefolium (Yarrow) Extract*, Sodium Hydroxide** (natural pH balancer), Citrus Reticulata (Mandarin Orange) Peel Oil*, Lavandula Hybrida Oil*, Pogostemon Cablin Oil*, Rosa Damascena Flower Oil*, Vanilla Planifolia Fruit Oil*.